Tanya is now 9 years old. Parents first began to suspect there's something wrong a few months after she was born. Tanya was constantly screaming, crying and had poor sleep. Then her mother noticed lag in her daughter's development and immediately began treatment. Tanya is a very sweet and affectionate girl who really wants to get well and to communicate on an equal footing with her peers. 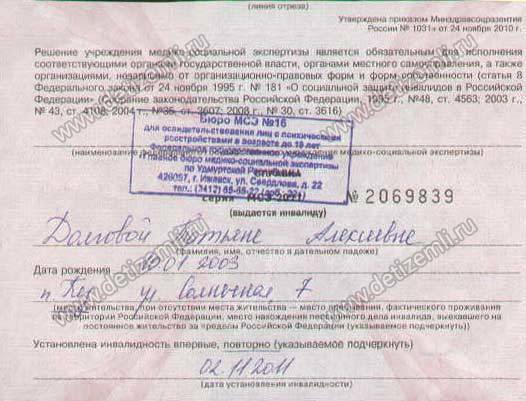 Now she must undergo treatment in the LLC "Reatsentr" worth 53,000 rubles. Help the child! 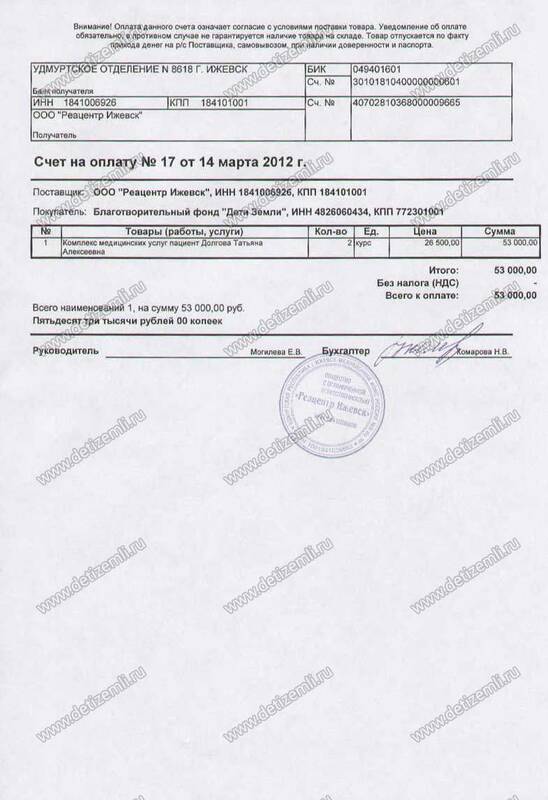 Paid 53,000 rubles for treatment in ReatsentLLC. Funds to pay for a Tanya's rehabilitation have been collected. A huge thank you to everyone who took part in the fate of the child. In the near future 53,000 rubles will be transferred to Reatsentr. 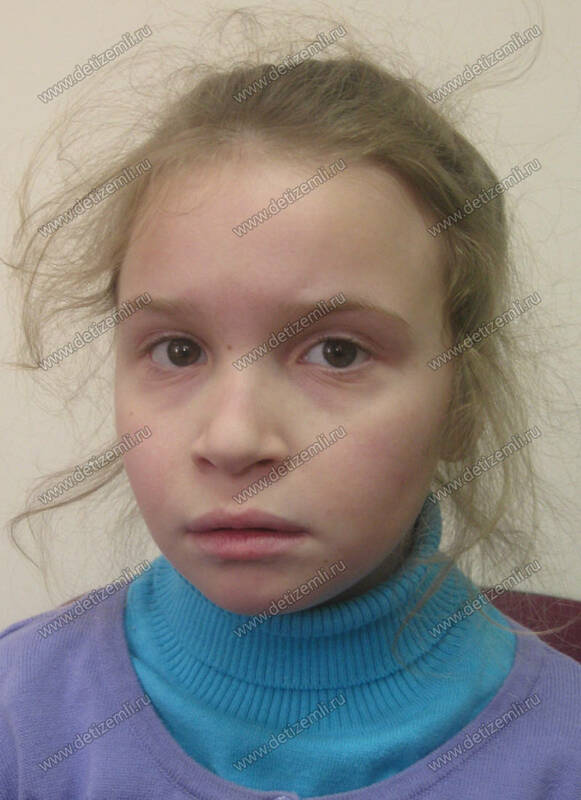 Children's Fund "Children of Earth" begins to raise funds to pay for treatment of Tanya Dolgova. 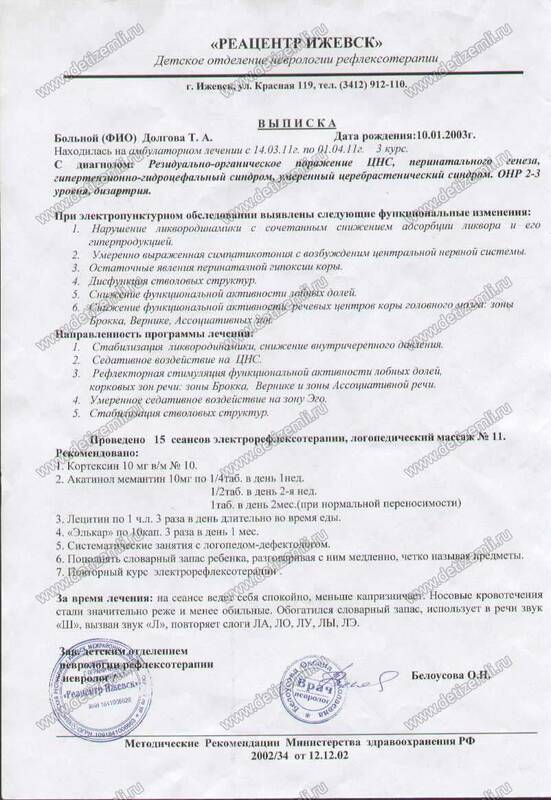 Cost of treatment is 53,000 rubles. Diagnosis: central nervous system damage. Tanya is a very resilient and capable child. She has every chance to recover if we are to help her. Please respond and help in collecting donations for the treatment of the girl.